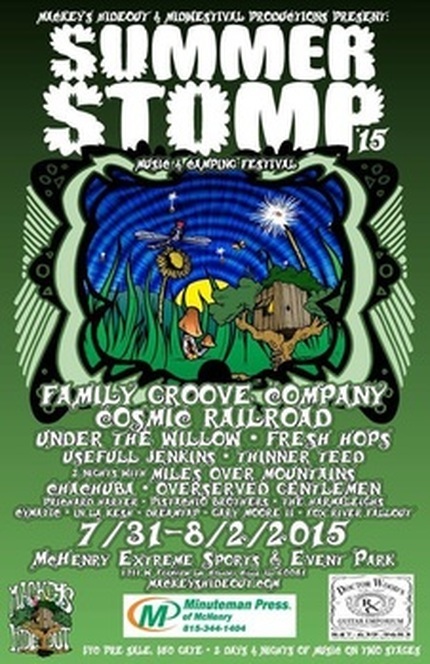 SUMMER STOMP is a 2 day Festival featuring music on 2 stages with camping, on-site food, a﻿rt, craft﻿ beer, vending, & more! ﻿This is an all ag﻿es event. Attendees under 18 years of age must be accompanied by an adult. * RV camping allowed - but we are NOT able to provide power or water hookups, sorry! No illegal drugs or weapons allowed on festival grounds! Underage drinking is strictly prohibited - No exceptions! No Fighting, you will be thrown out immediately!